Throughout Norman from Oct. 25 -31 many events will be celebrating Halloween and other autumn activities. 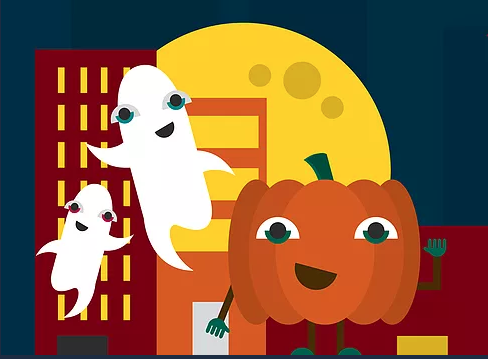 The annual Spooktacular at Sam Noble Museum begins at 4 p.m. Thursday and offers an opportunity to dress in family friendly costumes, earn prizes and explore the exhibits. Complimentary admission. At 8:30 p.m. Thursday, local author Jeff Provine will lead a Downtown Norman Ghost Tour. Tickets are available for $10 upon arrival at The Depot a few minutes before the tour begins. The walking tour will last about 90 minutes and will cover about 8/10 of a mile on public sidewalks. Adventure Town hosts a Halloween Party from 5-7 p.m. Friday which includes trick or treating, games, crafts, cupcakes and open play. From 6-9 p.m. Friday, the 6th Annual Downtown Norman Fall Fest takes place in the Walker Arts District. Don a costume, trick or treat along Main Street and try out the inflatables. Complimentary admission. Norman Parks and Recreation Department will present Moonlight Masquerade from 6-8 p.m. Friday at the 12th Ave. Recreation Center featuring DJ, dancing and music; pumpkin patch plus arts and crafts; haunted house; flashlight candy hunt, refreshments and more. Tickets are available for purchase here. At 10 a.m. Saturday, Speeding Bullet Comics will present a Halloween ComicFest Extravaganza presenting an opportunity to meet Oklahoma creators who are working in the horror genre and free spooky comics while supplies last. The annual Fall Foliage Tour begins at 9 a.m. at Reaves Park Sunday presented by Buchanan Bicycles. The ride will cover 40 miles through East Norman's foliage. No entry fee required. On Sunday, Campus Corner will host Howl-O-Ween at 2 p.m. The event features trick or treating, face painting, pumpkin painting along with family and pet costume contests. Complimentary admission. FestiFall at Alameda Church of Christ takes place from 5-7 p.m. With a country fair-themed festival, the event will feature games, photo booth, farm animals, kettle corn, corndogs, lemonade, inflatables and a chance for the whole family to trunk or treat. Complimentary admission. Also starting at 5 p.m. Sunday, Food and Shelter will present a Neighborhood Halloween Costume Carnival event. Fall games, face painting, photo booth and coat distribution starts at 5 and trick or treating begins at 6 p.m.
At 6 p.m. Sunday, Bethel Baptist Church presents Trunk or Treat offering safe fun for the whole family. Popcorn and water bottles will be complimentary; snow cones for purchase benefiting Lottie Moon Christmas Offering will be available. Moore-Lindsay Historical House will be open for trick or treating on Halloween Night from 5:30 to 8:30 p.m. The Victorian house is decorated festively for the occasion. The 17th Annual Rocky Horror Picture Show starts at 10 p.m. Halloween Night at the Sooner Theatre. (Not a production of the Sooner Theatre.) Tickets are available for $10 here.